In Part 2 “Expression” was described as a major feature of playing games. Whether it be the player having a distinct play style or customizing their character, games let players express themselves in a unique way. 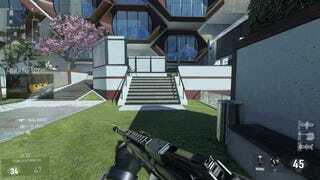 Below are two clips from different games, a symmetrical and an asymmetrical shooter. The first clip shows the typical fast-twitch shooter. The fastest and most accurate player will normally win the gunfight. In the second clip we see something different, it is not the first to the fight that wins, but the one that takes the smartest approach. If we go a step further we may say that the xenomorph players are “hunting” the marines players. If we look at hunting techniques of predators in the wild we will see there a wide variety. The above clip shows something similar to the “ambush” strategy. Likewise, prey also have their own array of techniques to make up for their size and speed disadvantages. 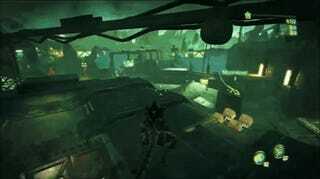 The clip below shows the “mobbing” behavior by crows defending their territory, followed by a similar strategy by necromorph ‘lurkers’ in Dead Space 2. 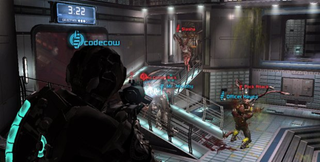 While it may or may not have been the game designers’ intent for the players to use the abilities in this way, consider that in neither of the games shown above (Aliens: Colonial Marines, Dead Space 2) were the players ever given any indication as to how to play each species, unless they happened to catch the multiplayer trailers online. In fact, the only knowledge the players have to work from is how they encounter the species in the singleplayer. In Dead Space 2 the ‘Lurkers’ never showed signs of a “mobbing behavior.” In Aliens: Colonial Marines the Xenomorphs attacked more similar to a swarm of bugs rather than intelligent hunters. Hunting strategies are clearly a crucial aspect of fighting and hunting, even paleontologists suggests that the T-Rex may have had hunted in packs. So why do these strategies keep popping up? Are we conditioned to adapt evolutionary strategies? Well Craig Parker and Lore Rutten suggest that hunting methods probably do not come from an evolutionary adaptation, rather they come from humans and animals being social and highly intelligent beings. Parker and Rutten point to Game Theory for the reasons behind the actions of hunters. This would explain why we see hunting strategies such as baiting, camping, or ambushing used in symmetrical shooters as well. Game Theory can be described as the decision making based on creating the best outcome for the individual (you have probably heard of the prisoner’s dilemma). And now this is where it gets REALLY interesting. Parker and Rutten created a game theory model to explain why each animal chooses their method of hunting. Their model contains four strategies which are mentioned below, each of which I gave a corresponding title that can relate to a certain type of gamer play styles. The cooperator is animal that can hunt on its own, but hunts with others if there are multiple prey or the threat of the prey is too large. “Team players” do not have to work with the team but realize the win is more efficient, therefore are more inclined to spreading the wealth (kills). A cheater is an animal that never hunts when it can use cooperators to its advantage. Cheaters will engage if they are the first to find prey, but they will not help cooperators in the hunt. The weak players are ones who consciously choose to let the other players do the majority of the work. They will fight if necessary, but will not hesitate to flee and hand the fight over to a teammate when able. The free rider of the gaming world. Scavengers avoid the risks of hunting and instead focus on dying or already dead prey. “Kill stealers” only come in for the kill when the attention is on another player and they feel confident there is no danger. This lets them avoid taking damage or having to engage in gunfights and still get the kill. Kill/Death ratio boosters also avoid the risks of gunfights so they can keep deaths low and raise their K/D more easily. Animals become solitary when the threat is small or hunting with cooperators is not as efficient. Similarly, players tend to fight on their own when they become skilled enough that either other players may just end up slowing them down or they can handle the threat efficiently on their own. So what does this tell us about games? That people, and in this case gamers, are incredibly intelligent when it comes to fighting an opponent and will use each and every ability they have to give them a better shot of winning. So by giving players games where they have a variety of different and unique monsters to choose come can help create the ultimate battle of predators vs prey.